This article is about the historic neighbourhood in the Beşiktaş district. For the municipal subdivision of Istanbul with the same name, see Arnavutköy (district). Arnavutköy (meaning "Albanian village" in Turkish; in Greek was known as Μέγα Ρεύμα, Méga Révma, meaning "great current") is a historic neighbourhood in Istanbul, Turkey, famous for its wooden Ottoman mansions and seafood restaurants, as well as the campus of the prestigious Robert College with its centennial buildings. 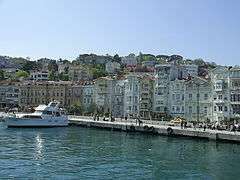 It is part of the Beşiktaş district of Istanbul, and is located between Ortaköy and Bebek on the European shoreline of the Bosphorus strait. For surname, see Bebek (surname). In 1863, Robert College, which is the oldest American school outside the United States, was established in its current campus which originally stretched from Arnavutköy to the vicinity of Bebek and Rumelihisarı. In 1971, a section of this campus became part of Boğaziçi University, which was formerly the college section of the school. The high school section, formerly named Robert Academy (RA) is still an American school and is located in the Arnavutköy side of the historic Robert College campus. During the Byzantine period, the village has been known with the Greek names Hestai (Εσταί), Promotu (Προμοτού), and Anaplus (Άναπλους). The population, in a publication of the Şirket-i Hayriye (Istanbul Ferryboat Company) written just before the First World War, was given as 493 Turks and Muslims in 168 households, and 5973 Greeks in 975 households. 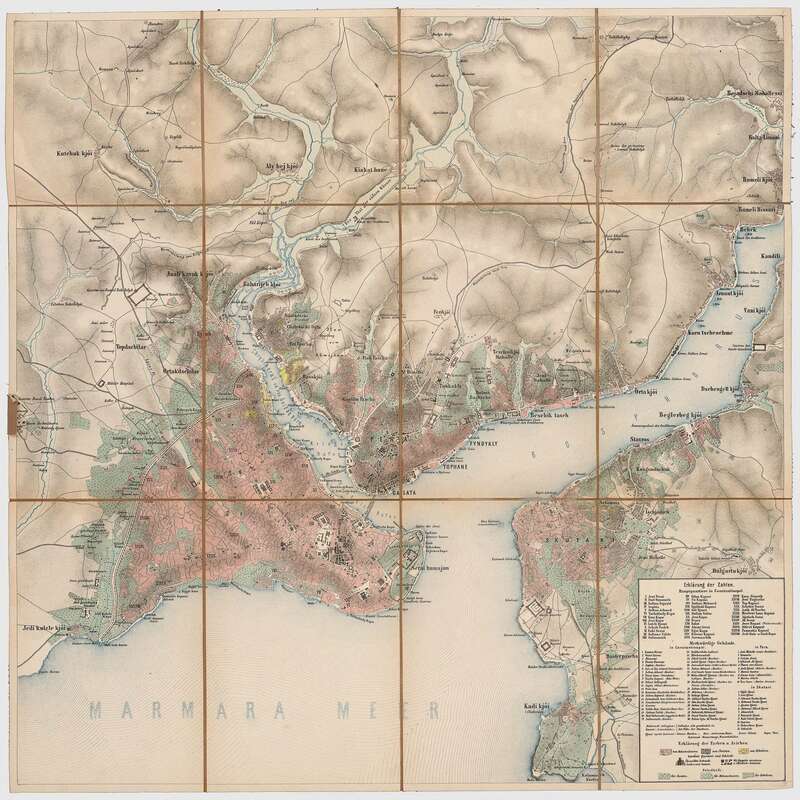 Arnavutköy also had a large Jewish community during most of the Ottoman period, but many Jews moved away after the great Arnavutköy fire of 1877. Arnavutköy was historically famous for its Ottoman strawberry, a less juicy and smaller kind than the usual strawberries found throughout Turkey. To date, some strawberry fields survive in the inland of the district and every spring local groceries are pillaged by strawberry lovers. Arnavutköy harmoniously represents the coexistence of citizens from different ethnic and religious backgrounds, being one of the historic neighbourhoods of Istanbul where one can find a mosque, a church and a synagogue within close proximity. The sidewalk by the sea is always full of individuals fishing, while small fishing boats frequently pass by Arnavutköy's coastline on the Bosphorus. The fresh fish that is caught is sometimes sold to the seafood restaurants in the area. Wikimedia Commons has media related to Arnavutköy.